If you’ve had mediocre results with your garden crops, you may want to feed garden soil this year. 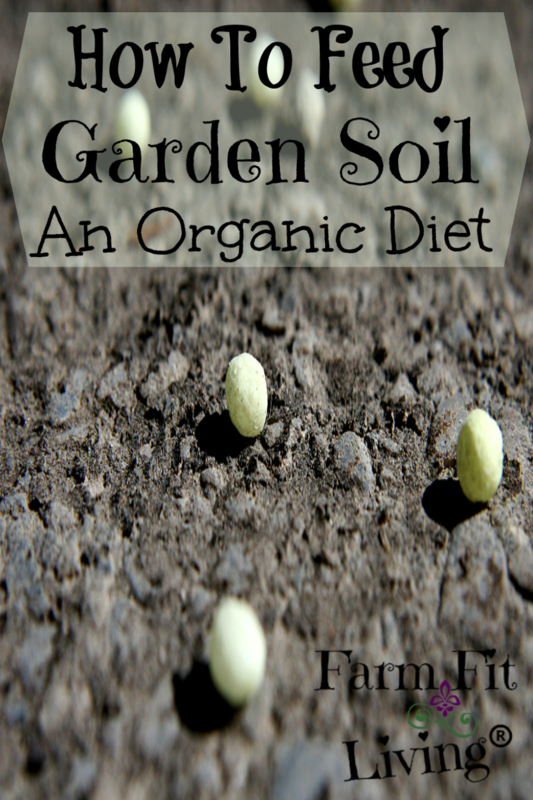 Feed garden soil for even more amazing yielding veggies and crops. Soil is an amazing concept. 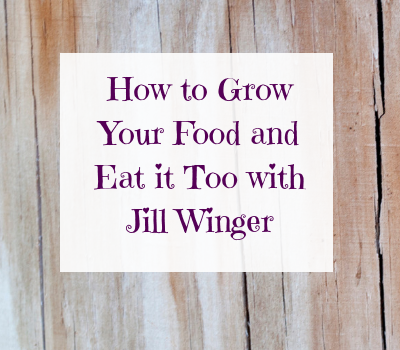 Who knew so long ago that planting a simple seed into soil could grow food to feed a family. Did early gardeners know that soil requires a healthy diet? If they knew now what we know about soil, they surely could have grown better and more garden crops. It all starts with what is inside the soil. Why Should We Feed Garden Soil? It’s not the soil itself, but what’s IN the soil under the ground that makes things grow. A combination of beneficials, such as soil bacteria and earth worms work together to provide a healthy living space for that seed, which will germinate into a tiny plant. Bacteria and earthworms act as aerators to the soil, making tiny holes and places for the roots to expand and grow through. As the seed germinates and roots begin to form, the roots will be able to expand through the healthy soil and find nutrients for the seed to grow into a plant. Soon, you will see that tiny plant pop it’s way out of the surface of the dark soil and into the light of the day. We all know plants need sunlight and water to grow, but those microbes and worms in the soil also need something to eat to keep on working underneath. So, we have to feed them. How much should we feed garden soil? Before we plant, we need to feed soil it’s organic diet. It would be wise to obtain a soil test of the soil in your growing area to see what nutrients are lacking in your soil. You should also be monitoring the soil pH (acidity) of the soil. A good pH range for most vegetables is 6.0 – 7.0. After you receive the recommendations from the results of your soil test, you will be able to know what the soil needs to keep things growing underneath. 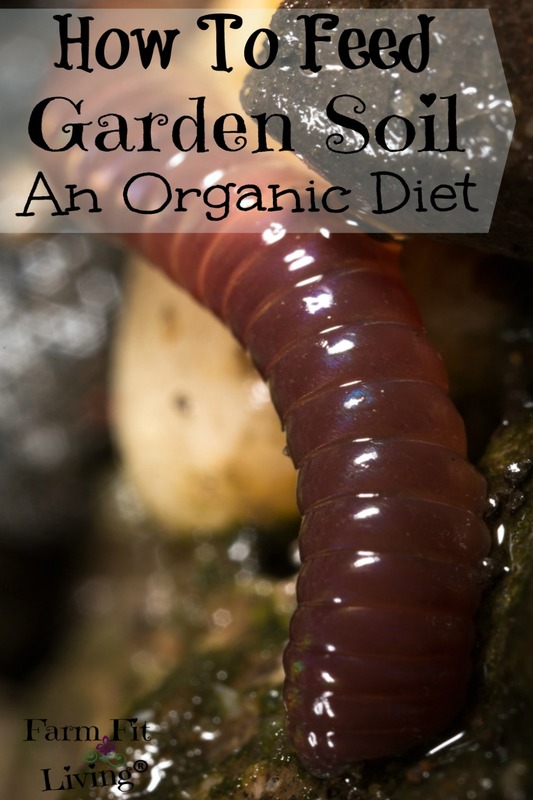 What do we feed garden soil? Organic matter is an effective way to improve your garden soil. Simply add it to your garden every few years and you will see improvement. Organic matter simply loosens the soil and provides the nutrients. Some examples of organic matter include: cover crops, manure, rotted sawdust, and compost. You can also use organic fertilizers based on the nutrient requirements needed. Whichever organic fertilizer you choose to use should depend upon the results of your soil test. Nutrients most frequently lacking for growth are nitrogen (N), phosphorus (P), and potassium (K). All plants require 16 nutrient elements for growth. While 13 of these nutrient elements come from the soil, the organic fertilizers must be able to break down to release these basic fertilizer elements in the soil before the plants can use them. The pH of your soil is important as it tells you if the soil is acidic or basic. You can easily correct the soil pH to make it more user friendly. If you want to grow the pH, you can add limestone whereas, if you want to lower the pH, simply add sulfur. Some sulfur sources include copper sulfate and elemental sulfur. The pH should be adjusted BEFORE you plant as in no crops should be planted in your garden spot. The organic fertilizer with the highest level of nitrogen is either blood meal or feather meal. Bat Guano has the highest concentration of phosphorus, while wood ashes has the highest level of potassium. Many people will use manures from their animals, such as chicken or horse manure. Again, you definitely want to test your soil before applying any fertilizer onto your garden spot. If you want to continue to raise healthy veggies and crops, you will need to feed your garden soil every year. Test your garden soil to understand what your soil needs as far as pH and nutrients. Then, feed the soil it’s delicious organic diet. If you want your garden soil to perform for you, feed it the energy it needs to thrive and be alive.